Vella Kozhukattai is a popular and traditional Vinayaka Chaturthi sweet made with rice flour, grated coconut and powdered jaggery. 1. Grate the coconut and keep aside. 2. Powder the cardamoms and jaggery, separately, and keep aside. 3. Grind the rice to a smooth flour. 4. Heat some water (1 cup) of water in a pan over medium flame. 5. Add the jaggery and stir well until fully dissolved. 6. Add the coconut and mix well, ensuring it does not stick to the bottom. 7. When it starts to leave the sides of the pan, add the cardamom powder and ghee. 9. Gradually pour 3/4 to 1 cup of hot water (adjust as required) to the rice flour and mix well. 10. Sprinkle some salt and mix to a chapati dough consistency. 11. 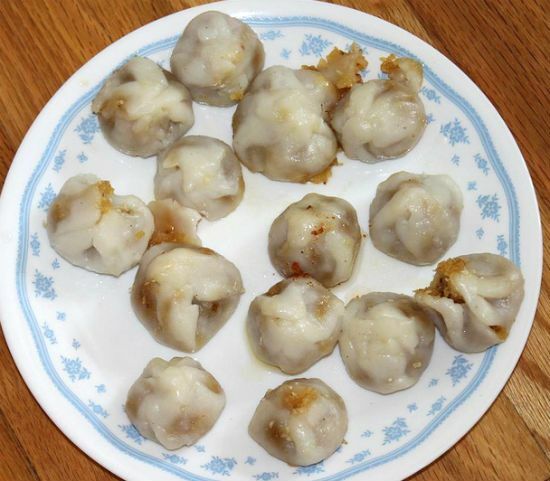 Using greased palms, make small balls of the dough and shape it into small cups. 12. Add some of the filling and fold well. 13. Seal the edges with little water. 14. Steam cook the prepared kozhukattais (modaks) in a greased idli plate for 10 to 15 minutes. Note: In some places, rice is soaked, drained and dried before ground to a flour. 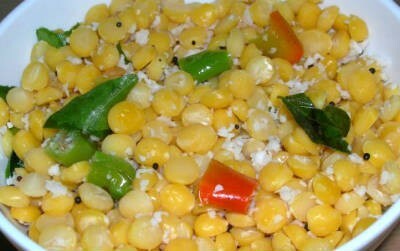 Feel free to comment or share your thoughts on this Vella Kozhakattai Recipe from Awesome Cuisine.